The Salon And Service Index (SASI) is a revolutionary, interactive application that helps customers locate salons & service providers of all types locally, or internationally. The SASI app puts the luxury of finding hairstylists, make-up artists, barbershops, tattoo parlors, nail salons, massage therapists & personal trainers, all at the convenience of your fingertips! With the use of your mobile devices, not only will you be possible to browse through listings of service providers, but SASI also provides a list of features, such as navigating customers to the desired salon or service provider’s destination. SASI also offers all service providers an opportunity to promote their businesses via photos, links to their company’s websites & much more! 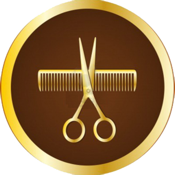 SASI offers all service providers the basic package, which enables them to enlist their businesses in the Salons And Services Index, free of charge. Service providers will also have the option of upgrading where they’ll have elevated access to promote their businesses. Finding salons & service providers has never been more convenient!